इनके परस्पर संबंधों के बारे में, खासकर जिन्होने गलतफहमी फैलाना अपना धर्म माना है कितनी बात कही है । कितनी परस्पर आत्मीयता थी उनकी, इसका केवल एक उदाहरण मै देना चाहता हू । शायद बाहर के लोगो को इतना मालूम नहीं । बहुत ही मार्मिक ऐसा यह प्रसंग है । गांधी हत्या हुई, शासन ने जानबूझकर संघ के बारे में गलतफहमी फैलाई जो राजनैतिक तत्व संघ को बदनाम करना चाहते थे । उन्होने उसका लाभ उठाया । जनता में क्षोभ पैदा किया गया । और फिर यह बात हुई की एक आदमी की हत्या हुई उसका बदला दूसरे आदमी की हत्या से होना चाहिये -खून का बदला खून से, हत्या का बदला हत्या से, ऐसा कहते हुए और ऐसे जो राजनेता थे बहुत बडे, वो Mob (भीड़) को लेकर प.पू. गुरूजी के मकान पर हमला करने के लिए आए । मकान छोटा था बालासाहब ने पहले ही व्यवस्था कर दी थी । Mob (भीड़) आ रही देखा तो 40 दंडधारी स्वयंसेवको को अंदर रखा था । किंन्तु Mob (भीड) इतना बडा था कि इतने Mob (भीड) के सामने 40 दंडधारी स्वयंसेवक कुछ नही कर पाते । इसलिये कई लोग गुरूजी से कहते थे आप यहाँ से सुरक्षित बाहर चले जाइये । बडा Mob (भीड़) है, यहा आप रहेंगे तो आपकी हत्या होगी । गुरू जी ने इन्कार कर दिया । उन्होने कहा की मेरी भूमिका ये है कि मै जिस हिंदु समाज के लिये काम करता हूँ वही हिंदु समाज यदि मुझे नही चाहता, मुझे मारना चाहता है, तो मुझे मारे । जो हिंदु समाज की इच्छा होगी वही हो । मै अपनी जान नही बचाऊंगा – अगर हिंदु समाज मेरी जान लेना चाहता है तो । कई लोग गये लेकिन गुरूजी हटने के लिए तैयार नही थे । बाहर Mob (भीड़) इकट्ठा हुआ था । मकान छोटा था । दरवाजा लकडी का था और वो भी पुरानी लकडी का दरवाजा था । आखिरी में दरवाजे को धक्के लगाना भी उन लोगों ने शुरू किया, गुरूजी मानने को तैयार नही थे । शायद उनके मन मे यही भावना थी की इस समय यहाँ आत्मार्पण करना यही सिद्धान्त के अनुकल है, ऐसा कुछ विचार होगा । आखिर में बालासाहब आये और बालासाहब ने उनको कहा आप हमारे सरसंघचालक है, हम आपके स्वयंसेवक है । सरसंघचालक के नाते आपके आदेश का पालन करना हमारा काम है । किन्तु स्वयंसेवक का भी स्वयंसेवक के नाते आप पर कुछ अधिकार है और उस अधिकार के नाते मै कहता हूँ कि आपको यहाँ से सुरक्षित बाहर जाना चाहिये । बाहर जाने के लिए रास्ता था । गुरू जी तैयार नही थे । मुझे इस समय बिल्कुल समानान्तर घटना का स्मरण हो रहा है, समानान्तर घटना! अपने इतिहास की! गुरू गोविंदसिंह जी चमकौर के दुर्ग में – उसको दुर्ग क्या कहा जाय उसको कच्ची गढी़ कहते है । बहुत थोडे़ लोगों के साथ थे । घेरे गए थे मुगल सेना से । मुगल सेना बहुत बडी़ थी । इतनी बडी सेना के साथ एकदम लड़ना भी संभव नही था किंतु जब घेराव हुआ तो पहले उन्होने अपने बडे पुत्र साहब जादा अजीतसिंह व बाद में पुत्र साहब जादा दूसरा जुझारसिंह दोनो को 10, 15 – 10, 15 लोग देकर लड़ने को गुरू गोविंदसिंह जी ने भेजा । अब लड़ने के लिए क्या भेजना था मरने के लिए ही भेजना था । स्पष्ट था जो जायेगा मरेगा ही । इतना होने के बाद 15-20 लोग गुरू गोविन्दसिंह जी के पास रहे फिर उन्होने कहा अब हम जायेंगे, उस समय शिष्यों ने कहा कि साहबजादा अजीतसिंह, साहबजादा जुझारसिंह उनका आत्मार्पण हुआ है । लेकिन आपकी बात दूसरी है आप हमारे नेता है आपने हमको सिखाया है कि ‘ ‘आप्पे गुरू आप्पे चेला । ” इस युक्ति के अनुसार अब हमारी बात मानना आपके लिए बाध्य हो जाएगा । आपको हमारी बात माननी चाहिये । आप सुरक्षित बाहर निकलिये । यह अपने लिये, देश के लिये आवश्यक है । ठीक यही बात जैसे बालासाहब ने कही स्वयंसेवक के नाते हमारो बात आप को माननी पडेगी । यही शिष्यों ने कहा ”आप्पे गुरू-आप्पे चेला” इसी उक्ति के अनुसार हम आपको कह रहे हैं और हमारी बात आप को माननी पडेगी । अपनी अनिच्छा होते हुए भी गुरू गोविंदसिंह जी ने शिष्यों की बात मान ली । वैसे ही अपनी अनिच्छा होते हुए भी श्री गुरू जी ने बालासाहब की बात मान ली और सुरक्षित बाहर आये, वरना हिंदुस्थान का ओर संघ का इतिहास बदल जाता । यह हम समझ सकते है दोनो में इतना परस्पर संबंध था ।लेकिन लोगों ने उसको तरह तरह के रंग दिये ! This entry was posted in Biosketch, RSS and tagged Balasaheb Deoras, RSS Pracharak, RSS Sarsanghchalak on June 16, 2018 by arisebharat. An inspiring incident from the many inspiring incidents from the life of Balasahebji Deoras. Two tours undertaken by him, after being affected by paralysis and ill-health are very inspiring. The ban imposed after Ramajanmabhumi was lifted in 1993. There was a bomb blast by jihadis at the Madras Karyalaya. The front room of the Karyalaya was damaged. Eleven persons including the residents of karyalaya and visitors had died in the blast. Whole country was stunned. Sri Srikanth Joshi who was was his sahayak says that, The moment this was heard by Balasahebji he wanted to visit Chennai and console the surviving members. However, due to his health condition, Doctors did not agree to move him. Balasahebji was mentioning to everyone who came to visit him and feeling bad for his helplessness. Every time he was seeing me (his sahayak, Srikanth Joshi,) he was telling him that he wanted to go to Chennai.After a few days, the doctors had permitted him to go to Chennai on the condition that he should go to Hyderabad from Nagpur and take 2 days rest and then if he does not have any problem he should fly to Chennai. Accordingly, after taking 2 days rest at Hyderabad he flew to Chennai. He was taken on a wheel chair. Just before landing at Chennai one of the Air-hostesses spoke to him. For anyone, it looked as if he was going for a special treatment . She asked him as to which hospital he was going to. He said “I am not going to any hospital for treatment. I am coming from Nagpur to visit and console the relatives of the people who died in the recent bomb blast”. She was surprised at that. She apprised his health condition and age. He cannot walk, his right side is paralysed. His age must be around 80 years. There was a tube attached for passing urine and a urine bag was hanging by his side. In that state, such a long journey? The aircraft landed in the Airport. She bought a wheel chair. She and Srikanth Joshiji together could put him in the wheel chair with great difficulty. A car was stationed at the end of the airport to pick up them up. She took the wheel chair up the car and helped him to sit in the car. She touched his feet after he sat in the car. She said, “Your are really a Mahatma. At this age, in this condition and with all the troubles you have come to share the grief of the people. I have never seen such a person in my life. Really you are a Mahatma.” . and turned back. The car went into Chennai.It was about 10.30 in the morning by the time we reached our place of stay. Balasahebji pressurised me to take him to the Karyalaya. He was informed that at 4 pm the family members of all the people who died in the blast have been informed to assemble at that time and Balasahebji could meet all of them at that time. He calmed down after that.Doctors had examined him and were worried. His blood pressure was 180/110. He was given tablets to reduce the BP. Doctors were wondering as to how to take him to the Karyalam. By afterooon his BP had risen to 220/120. Doctors expressed fear that if this condition remains, he may have a heart attack or could be paralysed once again. Balasahebji was questioning the delay. He was asking as to why they were not leaving. Then Sri Srikanth Joshi informed the doctors that they have to go to the Karyalam and there is no escape from it. In case his health deteriorates, they should be ready with emergency services and oxygen. If he remains here, his BP will further raise. Doctors had to agree. That is the life of Balasahebji. This entry was posted in History and tagged Balasaheb Deoras, RSS, RSS Sarsanghchalak on December 11, 2013 by arisebharat. The organisers of this program had suggested some topics for my speech. Out of them, I have chosen the topic ‘Social Equality and Hindu Consolidation’, as it has a very vital bearing on the future of our nation. Hindu consolidation is a must for the welfare of the nation. Hence all aspects of it are important. Even among them, the aspect of social equality being a delicate and currently relevant one, appealed to me as one of great import. That is why I thought that I should not miss the opportunity of expressing my views on it. I do not claim to be one among the thinkers and scholars of the society. But I have moved much amongst our people. That has given me many experiences and ideas and also a peep into the feelings of the people. Keeping all of them in view, I shall try to place before you what all of us might be feeling. Who is a Hindu ? While broaching this subject, the first question that naturally poses itself before us is: “Who is a ‘Hindu’?” Many definitions of the word ‘Hindu’ have been forwarded but none of them appears to be perfect, since every one of them, however carefully worded, suffers from the defect of being either ‘too short (Avyapti) or ‘too much expansive’ (Ativyapti) But can we deny the very existence of the Hindu society just because it defies definition? Although the word cannot be defined, we all know very well that the ‘Hindu society’ does exist. Also, all of us do have a definite and common understanding as to who constitute this society. Some years ago, the Government formulated the Hindu Code which was approved by the Parliament. Pandit Nehru and Dr. Ambedkar were the main architects of the Code. In order to make the Code applicable to the largest society in this country, they had to perforce name it ‘The Hindu Code’, While defining its scope of applicability they had to declare in the beginning that all except the Muslims, the Christians, the Parsis and the Jews come under its purview and that it was applicable to Sanatanis, Lingayats, Arya Samajists, Jains, Sikhs and Buddhists and even others who did not come under any of these categories. It was also made clear that any one see king exemption from it will have to bear the onus of justifying such an exemption. The only comprehensive term which could denote the people whom they had in mind was ‘Hindu’. We want to organize or consolidate all the Hindus. Organization does not merely mean a crowd, a front or a meeting. Organization implies bringing and keeping the people together and making them realize the purpose for their remaining together. This is no easy task. We will have to furnish some basis for it. And some of those basic factors of unity will have to be necessarily emotional in content; because the constitution of the human mind is such. Therefore we start with our motherland. ‘This is our motherland, we are its children and we have been living here for the past thousands of years. During this long past, we have created in this land a glorious history, and also contributed to world thought, culture and civilization. We alone have been responsible both for its rise and for its fall. Therefore we, being the children of this soil, must come together and live together. ‘These realizations should form the emotional basis of our unity. Even those who call themselves ‘rational’ will have to accept such an emotional basis. There is nothing wrong in it. Even Stalin had to remind his compatriots that they all belonged to a single, great nation, when Russia faced a terrible ordeal during the Second World War. He had to invoke the spirit of ‘nationalism’ and ‘fatherland.’ The necessity of such an emotional inspiration is beyond controversy. However, will this suffice? While actually working in the social field, we feel it necessary that there should also be a practical manifestation of this basis. It is of course essential that every one must emotionally feel that we are all one and that we are all equal, but at the same time we should also be able to experience naturally and always this oneness in our day-to-day life. So long as we do not have this living experience alongside the emotional call, the basis of our unity will neither be robust nor long-standing. Our history of the past hundreds of years tell us that just a handful of Muslims and even fewer Englishmen could rule over us and could forcibly convert many of our brethren to their religions. They also created controversies like ‘Brahmin and non-Brahmin’, ‘Savarna and Asprishya’. In this regard we cannot just blame the foreigners and exonerate ourselves. What is the use of lamenting that it was because of our contact with foreigners and their divisive machinations that our unity was shattered? It was but inevitable that we should, sooner or later, come in to contact with the foreign societies and their cultures. There could not for ever be a Berlin Wall between them and us. It is only the diffident people afraid of the contacts and thoughts of others that put up a wall around themselves. The greatness of any system is proved only when it can hold its head high even while it is in contact with others. When a system encloses itself in an impenetrable shell, it is only declaring its own inferiority. Hence instead of blaming others for our short comings we should introspect within ourselves and try to know which of our failings enabled the foreigners to get the better of us. In this regard, Dr. Hedgewar, the founder of the RSS, had a unique outlook. Whenever this topic arose, he used to say, “We cannot escape our responsibility by simply blaming the Muslims and the Europeans for our downfall. We must seek out our own failings.” We have to admit that social inequality amongst us has been a reason for our downfall. Fissiparous tendencies like caste and sub-caste rivalries and untouchability have all been the manifestation of this social inequality. For the Hindu Sanghatanists this is a delicate and difficult issue since we are immensely proud of our Dharma and our Sanskriti. It is true that we have a lot of things of which we can be justly proud. The philosophy and values of life of this land have received the highest acclamation of the thinkers the world over as an invaluable contribution to peace and progress of humanity itself. These values of life have stood the test of time in the race of long drawn out onslaughts and amidst historical and political upheavals. We all naturally feel that these eternal life-principles should be preserved. However, it is clear that even while cherishing this pride it would not do to think that all that is old is gold. Just because something is old, it need not necessarily be good or eternal or gospel truth. Neither should we think that since we have been living all these years on the basis of these old principles, we need not even think on new lines. Taatasya koopoyamiti bruvaanaahaKshaaram jalam kaapurushaaha pibanti. ‘My father and grandfather dug this well. The water was salty. But they drunk it and lived on. Hence we shall also drink the same water’—such bigotism does nobody any good. The saying speaks of such a person not as Satpurusha (good person) but as Kaapurusha (coward). Such a way of thinking is wrong. They will have to discriminate, preserve and take up whatever is worthy and feel not sorry for the dying out of things which are to die. The more our people adopt this rational way of looking at things, sooner will the mission of Hindu Consolidation and removal of illegality be fulfilled. For instance, the Jews have, according to a book I read recently, reviewed their religious texts and practices after every century or two and revalued them in the contemporary context. Of course, the wordings of the religious texts could not be changed, but fresh interpretations were placed on them in keeping with the times. These they introduced in practice and made popular also. It means they discriminated between what was eternal and what was changeable. I believe that in our own country too similar rethinking and revaluation of our religious texts must have been done in the olden times. Otherwise there is no reason why so many different types of religious books—smritis—should have come into existence. See, how many changes have taken place even in our gods and goddesses. The Indra, Varuna, Agni and other gods have given place to Vishnu and Siva. There was at one time conflict between Saivas and Vaishnavas, but Sri Sankaracharya established a harmony between the two and ushered in the puja of the Panchaayatan. And now Sivaratri and Shayani and Prabodhini Ekadasis are being observed in almost every house. It means that even in olden times efforts were made from time to time to establish harmony and bring in new interpretations, and that people were not insistent about sticking to every word and syllable of all that is old. There are many stories recounted in the ancient texts and Puranas. But do we accept them all as literally true? For instance, it has been said in the Puranas that the lunar and solar eclipses are a result of ‘Raahu and Ketu swallowing the Moon and the Sun’. But should we, in order to affirm our devotion to our old religious texts, incorporate this story in the school text books to explain to the children why the eclipses take ‘place? We are bound to give in text books only what is scientific and factual. It is not peculiar to only Hindu society that religious texts are understood by the letter, and the texts or stories therein believed in blind faith. In 1925, a thrilling court case took place in America (`The trial that rocked the world’, Readers’ Digest, July 1962)—a country believed to be most scientific in outlook. A teacher in one of the states was placed in the dock. He was charged by a Christian citizen with teaching the theory of evolution in contravention of the story of Genesis and Creation of Man as told in the Bible. The teacher had taught in the light of the latest theory of evolution. The court declared him guilty and he was punished. However today no Christian gives credence to that story of evolution in the Bible; but still they have not tried to destroy their faith in the Bible. This may appear strange, but has a great lesson for us. Such problems are common to all countries. Solutions must be found for them. Whenever I speak like this, some people say that these are things created by God. It is their intention perhaps to impress upon us the idea that such things cannot be changed or amended because they are created by God. But how far can this argument stand? God Himself has declared. “Whenever Dharma declines I reincarnate myself.” However, the re-establishment of Dharma after its decline does not mean that the old order will be re-established without any change whatsoever. Nobody in our country, like Mohammed Paigambar, has ever said, “I am the last Prophet.” So it is but proper that we should rethink how far it is right to assert that this is the Word of God and hence unchangeable. The re-establishment of Dharma can only mean that the same eternal life principles will be preserved, while its expressions and manifestations will change. And these changes we must be prepared to welcome. We should also be able to think clearly and without bias regarding the genesis of the systems which came into vogue in those old days. There is no reason to think that our ancestors had no insight into things and that they had set up the systems arbitrarily or in ignorance. We must keep in mind the fact that the thinkers and leaders of society of those times considered the needs of the society under those conditions and laid down suitable norms to ensure its solidarity and progress. In case those systems are unnecessary or no longer useful at present, we are free to reject them. But it is necessary that we should also understand why a particular system was introduced in a particular period of time. Take for instance the Varna Vyavastha—it is said that there was no Varna Vyavastha in olden times. Later on it was felt that some system was necessary to ensure the proper and steady progress of society. The leaders of society at that time thought that the society could progress only if four kinds of functions were properly and efficiently executed. Hence the society was classified into four groups depending upon the specific propensities and aptitudes of individuals and groups of individuals. Thus, the Varna system was evolved. Any system entails classification. However, this system did not envisage any differences in the status of the people belonging to the different groups.Classification is one thing and class-discrimination is another. According to some scholars, the classification in the beginning was also not hereditary. But as time went on, it must have become increasingly difficult to recognize and classify aptitudes in an extensive society, residing in such a vast stretch of country and having no means of quick transport or communication. Under such a situation, birth in a particular family must itself have been taken as the indication of his aptitudes and as a basis for classifying a person or a group of persons. That is how the growth of the Varna system must have taken place. But even at that time there were no superiority or inferiority complexes. On the other hand, the whole society was visualized as a single living entity, personified into a magnificent figure with ‘a thousand heads, a thousand eyes and a thousand feet’. Such a glorious concept does not permit the perverse and ridiculous notion that the thighs are superior to the feet, the hands are superior to the thighs or the head is superior to the hands. The idea is that all these limbs are equally essential for the proper functioning of society. The sense of high and low that we witness today had no place in that concept of one corporate living social entity. To imagine otherwise would be to do grave injustice to those people. It was for this reason that the system was acceptable to one and all. And it was because of its common acceptance that certain systems of checks and balances were evolved to continue it from generation to generation. For example the group endowed with the intellectual power was to embrace poverty. The group with ruling power was denied wealth power. The power of state and of wealth was not allowed to combine in the same group. So long as these checks and balances were efficiently maintained, the system worked well. But defects crept in the system when these checks and balances were ignored in course of time. Defects are bound to creep into any system. It is well known that communism aimed at the removal of all types of inequalities, particularly the ‘classes’. But Milovan Djilas (a top communist leader of Yugoslavia) in his famous book ‘The New Class’ has written that a new class has come up in all communist countries. He had to say this of the communist system within less than 50 years of its inception—a system which was avowedly born to do away with all classes’. Human nature is such. Vested interests develop in any system. The Varna system too was no exception to this human weakness and as a result it became distorted and it collapsed. But none can say that the originators of the system had any such perverse intentions in their mind when they introduced it. Braahmanopi kriyaaheenaha shudraat pratyavaro bhavet. Jaatyaa braahrnana iti chef na. ‘One cannot become a Brahmana because of birth alone.’ Great sages like Rishyashringa, Vishwamitra and Agastya stand as illustrious examples of people who, though not born as Brahmins, became Brahmins by their penance, virtues and attainments. It is said in the Puranas that Mahidas, the author of Aittareya Brahmana, who became a Dwiia, was the son of a Sudra woman. Jabala, who had no father to be named, was initiated into the Brahmin group by his Guru through the Upanayana ceremony. These things were possible only because they had recognized the limitations of the inherited talents and had made the system elastic and catholic in outlook. Thus it was possible for the system to last for centuries. Today the situation has changed completely. The changed situation demands changes in our way of thinking also in keeping with the times. Those were the days when every student had to learn his lessons at the residence of his teacher. Then the printing press had not been invented. The machine age had not set in. The blacksmith’s son, the jeweller’s son or the weaver’s son used to learn his trade by observing his father at work. The home was his school. Hence, heredity and environment cooperated with each other in teaching the individual his profession. But now the printing press has come, education is imparted in educational institutions, not in homes. The machine age has made the industries to be carried on in factories, not in homes. Science has progressed, new inventions have been made. The whole environment has changed. It is now recognized by one and all that though heredity is important, environment also has its effective role in shaping the human character. Therefore, it is inconsistent with the demands of modern times to insist on the hereditary varna and caste system. Some people attach great importance to the differences arising out of natural and hereditary factors. To an extent their contention is true. But to make these differences into a science is simply ridiculous. It is definitely not to the credit of man if he were to make efforts only to substantiate the hereditary disparities in individuals. His efforts should be to study nature’s processes and devise ways and means for lessening these disparities and making them tolerable. Therein lays his greatness and his courage. Keeping in mind the limited importance of heredity we should, by changing the environment and imparting education and training and introducing suitable systems, try to remove any hereditary defects and handicaps in any section of the people. This is possible in the present times. The Japanese people were considered to be dwarfish in stature. But after the Second World War, they came into close contact with the Americans. Appreciable change took place in their eating and drinking habits as also in their general style of living. As a result, their average height has now increased. Before the First and the Second World Wars, only certain groups of people in our country and also other countries were termed martial races. But during the two wars total mobilization and conscription had to be resorted to in all the countries and huge armies were raised. It was then observed that all these people fought better than even the professional soldiers, better than even the standing armies. Nobody accepts the notion of ‘martial’ or ‘fighting’ races any more. Hence it is now futile to try to give heredity a philosophical basis. In fact, circumstances have changed so much that even to say that Varna Vyavastha and caste system, which could serve as a necessary basis for the proper functioning of the society, exists is ridiculous. Perversion and confusion pervade the atmosphere. Castes no doubt exist, but they have nothing to do with the preservation of the social fabric. Caste is now confined only to marriage alliances. It exists only in the form, the spirit having disappeared long ago. What exists now is not (Varna) Vyavastha but only Avyavastha! Hence we should all put our heads together and think out how to guide it—a system which has to die and is already dying a natural death—along the correct path to its termination. There is in vogue a phrase Roti-Beti-Vyavahaar. In the olden days, even the Roti-Vyavahaar, that is, partaking of food was restricted to within a caste. That restriction has however broken down and nowadays people of all castes have started partaking food with one another. The credit for such a change is shared by English education, the Jhunka-Bhaakar Sangh, community dinners and social workers taking to that task specifically, etc. RSS also deserves some credit on account of its camps and other congregational programmes. This has subscribed greatly to the easing of disparities among different castes. Inter caste marriages have also begun taking place. It can be said without reservation that if the Beti Vyavahaar, just like Roti-Vyavahaar, also takes place in a greater measure, it will help to a very great extent in wiping out caste-differences and bringing about homogeneity in the society. However Beti-Vyavahaar—inter-caste marriages—are a more difficult proposition than inter-caste dinners Keeping this in mind, and without making unseemly haste, all should conduct themselves in a congenial manner. The reason is, as soon as the idea of marriage comes up, the question of a good match naturally crops up. Any one cannot marry indiscriminately any one else. It can be a good match if only the bride and the groom can claim near equality in educational, economic and social standards. This is possible only to the extent that residences are close together encouraging the habit of close contact with one another. Residential colonies like the LIC colony, the bank employee’s colony, the railway workers colony and the teacher’s colony, coming up in good number nowadays, subscribe substantially towards this end. Along with this, when their economic status also rises, irrespective of caste differences, and education becomes universal, then such marriages also become natural. Legislations, monetary temptations, propaganda tactics cannot bring this about. That would be wrong. For, this is a delicate matter which cannot have a rough and ready solution. Every one of us has to keep this in mind and subscribe his mite towards bringing about the social transformation. The change-over may take time, but it is bound to take place. Every one of us must therefore aim at eradicating social inequality in each and every form. We must clearly explain to the people at large how our society became weak and disorganized on account of social inequalities. We must also show them the way to get rid of them. It is necessary that every individual must make his or her contribution in this effort. That would remove a stumbling block in the way of Hindu Consolidation. In this task of bringing about social equality, we should be able to win over the support and cooperation of various types of people. We should, for that purpose, conduct our selves with restraint and grace. Then only we will be successful. There are our religious leaders, saints, sages and scholars. They hold a sway over the popular mind. Their cooperation in this task is essential. Sometimes we feel that they are firmly attached to only the old customs and would not like to see them changed. However, this should not make us mistake their good intentions.In other countries too there are religious teachers pinning their faith on ancient systems. Nevertheless the people there do not ridicule them on that account. We too, with proper approach, could plead with our religious leaders that they should, in their preaching’s and discourses, tell the people which facets of our Dharma are of eternal value and which of them changeable according to the times, and that such an exposition on their part would be more impressive and pervasive in its effect. We should also submit to them that the responsibility of protecting the society is theirs and that it can be discharged only by their coming out of their ashrams and mutts and unreservedly mixing in the society. Though this appears as an uphill task, actually it is not so. Fortunately there are already auspicious indications that our Dharma Gurus have started working in this direction. Our late Sarsanghachalak Parama Poojaneeya Sri Guruji had brought together on a common platform, under the auspices of Vishwa Hindu Parishad, all the religious leaders to persuade them to this viewpoint. As a result, many saints and religious leaders have commenced mixing amongst all sections of society. They have given up their previous opposition to reconversion and have now come forward to take back into their fold those brethren of ours who had been converted. The enlightened section of our society has a great responsibility in this regard. They should so think and act as will help achieve equality and at the same time not give rise to bitterness in society. Those who suggest solutions to the problem should also keep in mind the dangers that may result from such solutions. Upaayam chintayan praagnaha apaayamapi chintayet. We want equality only for the purpose of establishing in the society an atmosphere of goodwill, harmony and mutual cooperation. Those that speak, write or act without understanding this basic viewpoint will only harm the purpose they wish to serve. Many times, some particular section of society is made the target of stinging attack. It is highly improper to disgrace or to demoralize any part of our society. Maintaining their morale, examples of new and better social behaviour should be placed before them. Unfortunately there are still some people in our society who believe in discrimination and are unable to grasp the right attitude. In the final analysis, they are all a part and parcel of the Hindu society. It is not necessary that we should pounce upon such people or tackle them the hard way. There are certainly other ways of persuading and bringing them round. This was the way revered Dr. Hedgewar, the Founder of the Sangh, worked. I had the good fortune in my young age to work under his guidance. In the beginning stages, we had very interesting experiences. I was present in the first Sangh camp. In that there were quite a number of mahaar (untouchable) brethren. At the time of meals, some began hesitating to sit along with them. They had never before in their life sat for meals with the mahaars. They placed their problem before Doctorji. But he did not enforce the discipline of the camp and ask them to get out. Doctorji simply said: “Our practice is to sit together. We shall sit accordingly.” All of us sat together for meals. Those few that were hesitant sat in a separate line. But, for the next meals those very people came to Doctorji and apologized and sat with us of their own accord. If Doctorji had taken disciplinary action against them at the very outset and sent them out of the camp, they would not have been transformed. A very instructive episode concerned my late friend, Sri Bachharaj Vyas. He was a swayamsevak of the Sangh shakha of which I was the Karyavaha. Having been born in a highly orthodox family, he would not come even to my house for meals. When he first attended a Sangh camp, taking meals posed a problem for him. He could not partake the meals prepared and served for all. When I placed this problem before Doctorji, he did not quote any rule of the camp and prevent Sri Bachharaj from attending the camp, since he was certain that the desired reformation would definitely take place in him. He knew Bachharaj was a man of great caliber and utterly selfless at heart. He told me, “Let him come to the camp.We shall give him the utensils and the ration; let him cook his own food.” Thus it was for the first year. The next year, Sri Bachharaj himself said to Doctorji, “I shall take meals with the rest!” Thereafter, as he involved himself more and more in Sangh work, as you all know, his behaviour underwent a metamorphic change in spite of his orthodox background. He became a trusted worker of the Sangh and served as the Provincial Organiser of the Sangh in Rajasthan.Later he even became the All India President of the Bharatiya Jana Sangh. Many a time, at the root of the internecine quarrels and violent conflicts in the Hindu society lie political or personal rivalries. Election clashes, land and family disputes also take up that vicious form. Further, the politician or the interested person gives it the colour of conflict between two castes just to save his skin and serve his political ends. At such times, unfortunately, many well-meaning persons and even press correspondents, in their ignorance, are made pawns in this game. In particular, pressmen in search of a scoop do not bother to obtain first-hand knowledge of what happened but weave out a story with a single thread of information and give it a sensational headline. When, clashes take place between Hindus and Muslims they are reported as a clash between one community and another, while even petty quarrels among the Hindus are magnified and reported in an inciting fashion. This is certainly not desirable. We should all exercise the greatest care and restraint in all our actions, if we are to lessen the social disparities. It is a fact that the backward or untouchable brethren of ours have borne quite an amount of misery, insults and injustice all these centuries. That agony is there in their hearts. We are also much pained at this sight. Now we have to find a way out of this. All of us feel that onslaughts on them are wrong and that they should stop forthwith. Therefore, the efforts of all of us, our talk, and our behaviour should be such as to be conducive to the achievement of this goal. I appeal to the oppressed brethren also to exercise this care and restraint. The faults and follies in our society must certainly be criticized. But there are different ways of criticism. When foreigners criticize us, it is with a sense of contempt. But when our own people criticize, it carries an element of pain born out of affectionate concern. Otherwise, if we begin to drag our quarrels of the past into the present we shall be only placing our future in jeopardy. That will only hamper our progress towards equality and harmony. They (the oppressed brethren) should feel that they are also part and parcel of the same society and shall live as such with the other members of society. If they stand up shoulder to shoulder with others who have similar ideas and feelings, then the combined efforts of both will make the task much easier and bring the goal much nearer. In the past, some eminent leaders of the oppressed communities have severely criticized certain castes and certain religious texts. That was necessary at that time. In order to draw the attention of the people to a certain point and rouse public opinion, an individual may employ a biting language in the beginning stages. But it is not necessary that such tirades should continue for ever. Now the times have changed. The actual transformation has to take place now. As such the responsibility is upon all of us to employ only such language as will help the process of change. I believe that the ‘backward’ brethren of ours do not ask for the mercy of anybody. They only desire an equal status with others and that too on their own merits. Since they have been backward all these days, they only want that facilities and opportunities should be provided to them to advance. This desire of theirs is quite legitimate. And it is for them to decide how long these privileges should continue. In the long run, however, they will have to compete with others and earn an equal status only on the basis of merit. Perhaps, they also know this. It is for them to think and strive and chalk out a time-bound plan of rising themselves up. A day has to come when all of us will feel equal, equal in our worth and capacities. In spite of many drawbacks, the Hindus have their own specialties. They have certain concepts and attitudes with regard to life. Thinkers the world over concede that this society has established certain great and eternal values of life. If the Hindu society, believing in such specialties and eternal values of life and following them in practice, can stand up united, imbued with the spirit of social equality, then alone those specialties will live on for ever and prove beneficial to the world at large also. But unfortunately today the Hindu society is weak and disorganized. Dr. Ambedkar felt very much pained that in this society which considers all human beings as children of God, nay, as part and parcel of that Divinity Itself, there should be found a sense of high and low. He also said that there could be no better basis for equality than the basic faith in the existence of a common spark of divinity in all human beings. The history of our society is a very long one. All these centuries there was absolute freedom of thought and action. As a result, quite a good number of things were written in our texts some of which could even be misinterpreted. If Na stree swaatantryamarhati (Woman is unworthy of freedom) is quoted to make it appear that the woman was despised in this society, the saying Yatra naaryastu poojyante, ramante Tatra devataaha (Where women are revered there the gods rejoice) is also available to show that woman was held in the highest esteem. If one wants to establish unity and harmony in the society, one has to think what are the concepts which should be picked up from our religious texts and from our history, which would be conducive to the removal of disparities and the consolidation of Hindu society. May all of us feel that the Hindus must unite and that for their unity the basis can only be social equality? With this conviction may all of us come forward to make our society united and strong? This is my fervent appeal to one and all. This entry was posted in Nation, Seva, Social Issues and tagged Balasaheb Deoras, Caste system, RSS view on social equality, varna ashram on December 10, 2013 by arisebharat. Swargiya Balasahebji Deoras is a well known figure who was admired and respected by the svayamsevaks, the general public and admirers in Andhra Pradesh. 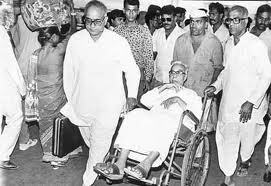 Balasahebji made annual visits to Andhra Pradesh from the time he took over as Sarsanghchalak in 1973 till he left his body, except in 1976 during which he and other patriots were put behind bars when emergency was declared. His mere presence was memorable experience for all the participating karyakartas, whether it was a training programme for new entrants or Shibiram for all ages and holding various responsibilities or public functions attended by normal public or while touring during natural calamities to give courage to the people or any other special occasion. This writer has seen Balasahebji Deoras in 1973. Due to the indisposition of the then Sarsanghachalak Pujya Guruji, it was decided by the senior karyakartas to send the then Saha-Sarkaryavaha, Balasahebji to attend the Sikshavargas to be held in April, May and June of that year. 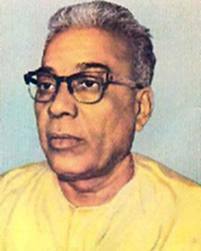 Accordingly, in 1973 Balasahebji had come for the Sangha sikshavarga held at Ghatakesar near Hyderabad. Usually when any national level (Akhila Bharata sthayi) leader comes, his message would be in the form of a speech (bouddhik). However, he said that he would like to clarify the doubts of the participants. While this announcement itself was surprising, he very patiently had answered all the questions posed by the participants, how so ever irrelevant they could be. He was supposed to stay for three days but due to the demise of Pujya Guruji, he had to leave for Nagpur on the second day itself. After taking over as Sarsanghachalak, he visited Hyderabad and Vijayawada. The next year he visited Hyderabad and Visakhapatnam. After taking over as Sarsanghachalak, he presided over a public meeting held at Visakha Municipal Stadium organised by Sri. G.S.K. Arya who was the Visakha Vibhag Sanghachalak and the main pillar of the relief work after the cyclone. Balasahebji attended the Sangha sikshavargas held at Bhagyanagar in 1974 and 1975. Soon after the conclusion of the 1975 sikshavarga, emergency was declared and within the next few days ban was imposed on Sangha. For about 18 months, Balasahebji was kept in the Yerwada jail near Pune as a MISA detenue. After the ban was removed, as a part of his nation-wide tour Balasahebji visited Hyderabad. He was taken from Begumpet airport to the Sangha Karyalaya in Barkatpura in a grand procession (shobha yatra) which is uncomparable. It looked as if the entire city had assembled to welcome him. He was welcomed by important personalities. Everyone was overwhelmed with joy on seeing that view. A public meeting was held at Ghoshamahal Stadium in the evening. There was not much time for conducting Sangha Shiksha Varga in 1977. However, Balasahebji toured all over the country with a view to improve the Shakhas. He happened to visit Andhra Pradesh in December during that year. On November 19, Diviseema in Krishna District and nearby places were hit by a devastating cyclone causing immense loss – personnel, livestock and property. There was an eerie silence all around. Thousands died and remaining were searching for shelter at which time the svayamsevaks had come forward and started relief work. Most difficult part was removing the dead bodies. None came forward but the swayamsevaks did the job. Under the leadership of Sri Sreedhar , groups were formed to remove the dead bodies and cremate them. Sri Divi Dwarakacharya, Sri Bandaru Dattatreya, Sri Vedantam Sangameshwara Shastri, Sri Kallepu Vidyasagar Rao and others came to Diviseema from their place of work. Hundreds and thousands of svayamsevaks had come from the four corners of the country to participate in the relief work. With great planning they made available the necessities to the affected people and won laurels from all. Seeing the service of swayamsevaks, Sri Prabhakar, a Sarvodaya leader, praised RSS, saying “RSS means Ready for Selfless Service”. Balasahebji came to Vijayawada after shortening his tour in the Karnataka area. He travelled by road to Diviseema. He visited the most affected villages such as Mandapaka. He consoled the people who were taking shelter in a Junior College at Avanigadda. In the evening he attended a meeting presided over by Sri Mandali Venkata Krishna Rao at Gandhikshetram. He handed over some items so as to enable the affected people restart their lives. He also handed over Rs.50,000/- to the Cyclone Relief Committee stating that when he was leaving Bangalore, the Swayamsevaks of Bangalore, having known that he was going to visit the cyclone affected areas, had collected 50,000/- rupees and handed over to him. That was an indication that help is going to pour from all over the country and extensive relief work & rehabilitation can be taken up. Subsequently, relief and rehabilitation took place on a warfooting. Cottages were built. In Parrachivara village and Moolapalem, pucca houses were proposed to be built. The village now known as Deendayalpuram was inaugurated by the then Chief Minister Marri Chenna Reddy and Sri Atal Bihari Vajapeyi, the then External Affairs Minister handed over the houses to the villagers. His message was “Nature will not be under our control. Sometimes nature shows its anger causing destruction. We cannot stop it. But by our constructive work we can over come the destruction” and he praised the work of the swayamsevaks. Many rivers were in spate due to the cyclone in 1977. Many streets in Anakapelli were submerged due to the over floods in river Sarada in Visakha district. Hundreds of houses were damaged. Sriramnagar was born at such a place due to the work of swayamsevaks. This was inaugurated by Balasahebji Deoras himself. State Minister Padmanabha Raju was the Chief Guest. Not only people from many villagers of Visakha district but also the tribals of Paderu district also participated in the meeting and enjoyed. During that time the words uttered by Balasahebji are unforgetable – When the society faces troubles, it is natural that swayamsevaks would respond. Outsiders may be surprised at the immediate response being shown by the swayamsevaks but not the swayamsevaks. If any swayamsevak does not respond to any loss caused by any danger, then it is surprising. Some people will be asking as to how such a training is given. There is no special training for this. Attending daily Sakha inculcates qualities such as , listening to each other and helping each other and because of this they are able to serve the society better. After the emergency was lifted, Balasahebji used to share his jail experiences. Some of the opposition leaders who were jailed along with him used to question as to how the svayamsevaks are able to move together without any arguments, fights, difference, etc.. He explained to them that the feeling of ‘thy need is greater’ is inculcated through attending Shibiras. Hence, in jail life also svayamsevaks are able to face the difficulties. As part of his annual tour he participated in several programmes held at the main kendras of Nellore, Thirupathi, Proddutoor, Ananthapuram, Kurnool, Palamur, Karimnagar, Nizambad, Warangal, Khammam, Bhuvanagiri. Once while travelling from Visakhapatnam to Kirandole, he got down at Araku Station to enable the Vanavasi karyakartas from Paderu, Araku and Hukumpet mandals meet him. Two tours undertaken by him, after being affected by paralysis and ill-health are memorable. The ban imposed after Ramajanmabhumi was lifted in 1993. There was a bomb blast by jihadis at the Madras Karyalaya. The front room of the Karyalaya was damaged. Eleven persons including the residents of karyalaya and visitors had died in the blast. Whole country was stunned. Sri Srikanth Joshi who was was his sahayak says that, The moment this was heard by Balasahebji he wanted to visit Chennai and console the surviving members. However, due to his health condition, Doctors did not agree to move him. Balasahebji was mentioning to everyone who came to visit him and feeling bad for his helplessness. Every time he was seeing me (his sahayak, Srikanth Joshi,) he was telling him that he wanted to go to Chennai. After a few days, the doctors had permitted him to go to Chennai on the condition that he should go to Hyderabad from Nagpur and take 2 days rest and then if he does not have any problem he should fly to Chennai. Accordingly, after taking 2 days rest at Hyderabad he flew to Chennai. He was taken on a wheel chair. Just before landing at Chennai one of the Airhostesses spoke to him. For anyone, iIt looked as if he was going for a special treatment . She asked him as to which hospital he was going to. He said “I am not going to any hospital for treatment. I am coming from Nagpur to visit and console the relatives of the people who died in the recent bomb blast”. She was surprised at that. She apprised his health condition and age. He cannot walk, his right side is paralysed. His age must be around 80 years. There was a tube attached for passing urine and a urine bag was hanging by his side. In that state, such a long journey? The aircraft landed in the Airport. she bought a wheel chair. She and Srikanth Joshiji together could put him in the wheel chair with great difficulty. A car was stationed at the end of the airport to pick up them up. She took the wheel chair up the car and helped him to sit in the car. She touched his feet after he sat in the car. She said, “Your are really a Mahatma. At this age, in this condition and with all the troubles you have come to share the grief of the people. I have never seen such a person in my life. Really you are a Mahatma.” . and turned back. The car went into Chennai. It was about 10.30 in the morning by the time we reached our place of stay. Balasahebji pressurised me to take him to the Karyalaya. He was informed that at 4 pm the family members of all the people who died in the blast have been informed to assemble at that time and Balasahebji could meet all of them at that time. He calmed down after that. Doctors had examined him and were worried. His blood pressure was 180/110. He was given tablets to reduce the BP. Doctors were wondering as to how to take him to the Karyalam. By afterooon his BP had risen to 220/120. Doctors expressed fear that if this condition remains, he may have a heart attack or could be paralysed once again. Balasahebji was questioning the delay. He was asking as to why they were not leaving. Then Sri Srikanth Joshi informed the doctors that they have to go to the Karyalam and there is no escape from it. In case his health deteriorates, they should be ready with emergency services and oxygen. If he remains here, his BP will further raise. Doctors had to agree. We took him to karyalam leaving everything to God. Seated in the wheel chair Balasahebji approached the photographs of the martyred svayamsevaks. He offered floral tributes to each one. He put tilak and lit the lamps. He offered dhupam. He was shaking with grief. He looked around the damaged karyalam with tears flowing from his eyes. Nearly 200 svayamsevaks and families were seated in the shamiana, among them were relatives of the martyrs such as mother, sister, brother, father , etc. Babasaheb was not allowed to talk much. His speech in Hindi was translated in Tamil. After the Prarthana, he was taken back for rest. Doctors heaved a sigh of relief and checked his BP. It was 120/80 just normal.” That is the life of Balasahebji. Since he was unable to undertake tours, due to ill health in 1994, Rajju Bhayya was handed over the responsibility of Sarsanghachalak. Now there were no responsibilities on him. In that condition, he once came to Bhagyanagar. He travelled to the ancestral village of Dr. Keshav Baliram Hedgewar, the founder of the Sangha, Kandukurthi in Nizamabad district. By then, the temple of Keshavaswamy was under construction due to the initiative and plans of Sri Moropanth Pingle and others. Sevabharathi was promoting education scheme through Keshava Vidyalayam. Doctorji’s statute was placed in the Vidyalaya. It was one of his wishes to visit the village and see the memorials. After getting relieved from his responsibilities, he had fulfilled his desire. “Better late than never” and “we have to be wiser at least after the event” are the two sentences which were frequently used by him. His speech was incoherent at that time. His message was read out by Srikanth Joshiji. He explained about historical and mytholigical importance of Kandukurti village – being the southern triveni sangam a confluence of Godavari, Manjeera and Haridra rivers. Vinatha, one of the wives of Kashyapa Prajapathi loses a bet and becomes a slave to Kadruva, another wife of the Prajapathi. Vainatheya (Garutmantha) brings amrutha from heaven and gives to his step mother at this very place and frees his mother from the slavery. Balasahebji said that this mytholigical story has caused people like Lokamanya Tilak to participate in the freedom movement. He also explained about the new direction Doctorji had given to the country. During one of his visits to Vijayawada, Balasahebji said that his ancesestors were from Vijayawada. They had migrated to Nagpur and settled down there. Their surname was Devaraju which has become Deoras over a time (Some people having the surname ‘Deorasu’ are living in Bandar). This writer had the privilege to translate some of the bouddhiks of Balasahebji Deoras. The importance of his speech was that we will not feel that he was talking on a very heavy topic. We feel that he was still speaking the foreword and would be listening very attentively. It would be for an hour or hour and a half. We would return home thinking about the content. All political parties of this country talk about democracy, secularism and socialism being their main adarsh. These adarshas will remain so long as the Hindus are strong majority in the country. Places where Hindus have become minority have been torn from the country. No democracy, secularism or socialism can be seen there. Hence, everyone has to recognise the need to keep this country as a Hindu desha – Balasahebji reinterated this time and again. Can anybody having historical knowledge deny this? Such a great personality, whose life we saw with our own eyes – He was Sangha and Sangha was him – that is the way he lived – His life history being released in Telugu is a festive occasion for all of us. This entry was posted in Biosketch, Nation and tagged Balasaheb Deoras, RSS, Sarsanghachalak, Social work on February 17, 2012 by arisebharat.